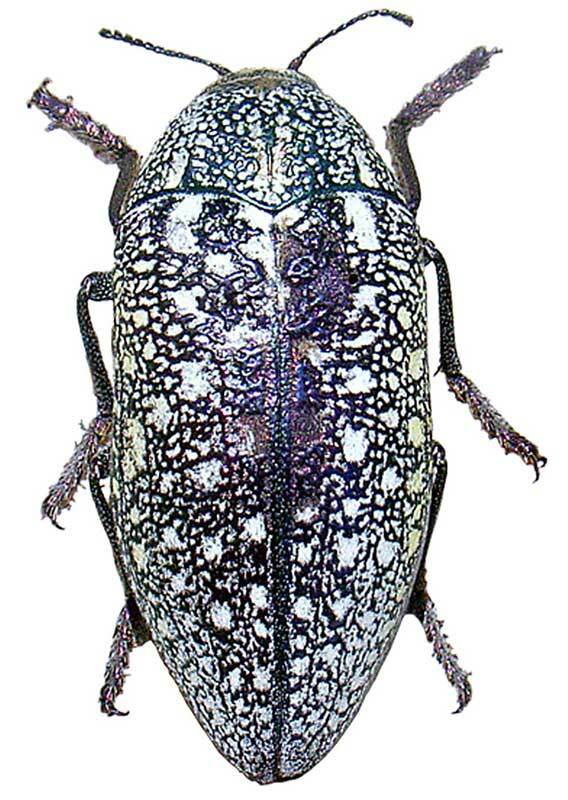 Beetle follows Buprestidae family, and Coleoptera order. 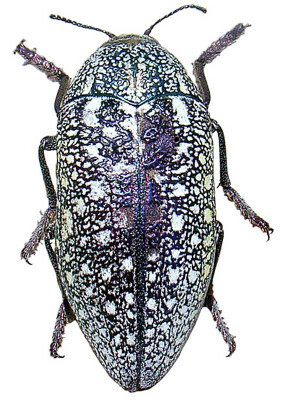 The beetle is big-sized (between 29-31 mm), has a glossy green colour with glossy yellow spots. It feeds on wild tree flower's nectar from Aril to June. Larva has a flattened head and lives as diggers inside wild trees.